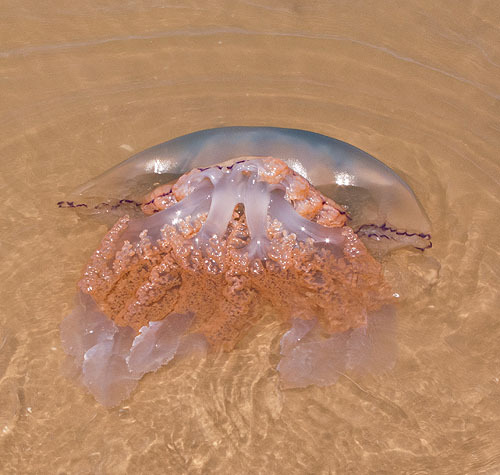 One a number of Jellyfish washed up on Tenby North Beach. A Large - Barrel or Root Mouth Jellyfish - "Rhizostroma Octopus". Dome shaped with purple / white lobes around the margin. Harmless and unable to sting , with 8 solid oral - arms , each with many mouths to catch food (plankton) fanned down by the motion of the bell. A favourite food of Leatherback turtles .